The entire 23-km stretch of the Lucknow Metro Rail became operational on Friday as Prime Minister Narendra Modi digitally inaugurated its first commercial run, officials said.After this, the commuters in the state capital will be able to take its ride from the Chowdhary Charan Singh International Airport at Amausi to Munshipuliya.The Lucknow Metro Rail project was conceived in the Akhilesh Yadav-led Samajwadi Party (SP) government regime and a small segment between Alambagh and Charbagh was inaugurated in haste just before the 2017 Assembly elections. With the start of the entire stretch on Friday, however, traffic in the city is likely to be decongested in a big way.There are 21 stations on the North-South Corridor. Kumar Keshav, Managing Director of Lucknow Metro Rail Corporation (LMRC), told IANS that it was a transport system dedicated to the people of the state capital and the fact that it was completed in a record time was a feat for all to remember.Union Minister of Urban Development Hardeep Puri was present at the inauguration.He credited the early completion of the project to the continuous efforts of Home Minister Rajnath Singh. 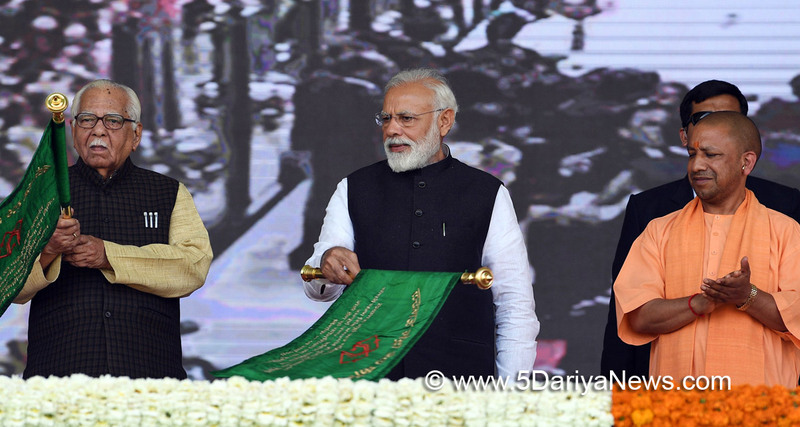 "Both the central and the state government are trying to improve the infrastructure in the state in a big way and Metro was a part of it," the minister said.The foundation stone of the ambitious Rs 6,880 crore project was laid in March, 2014 for the North-South Corridor of 23-km and the civil work commenced on September 27, 2014. The financials have been shared equally by the government of India and the state government, with an external loan of Rs 3,502 crore provided by the European Investment Bank (EIB), officials informed.The state government provided free land for the project and has also reimbursed the state taxes.